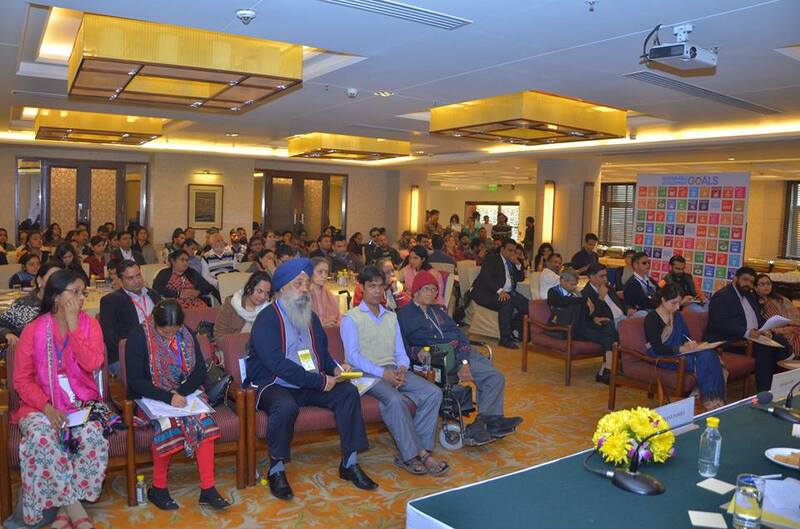 National Seminar on Disability Inclusion across ALL 17 Sustainable Development Goals, 9th December, 2016. 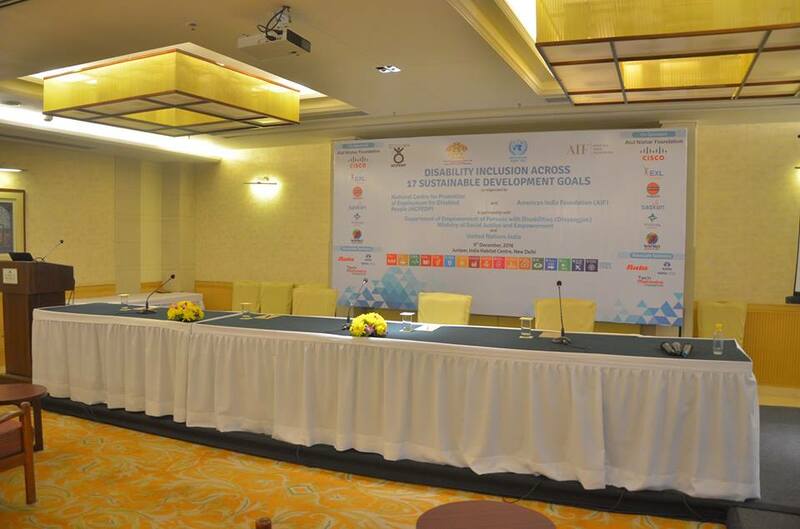 Stage is set for the National Seminar on Disability Inclusion across all 17 Sustainable Development Goals (SDGs). 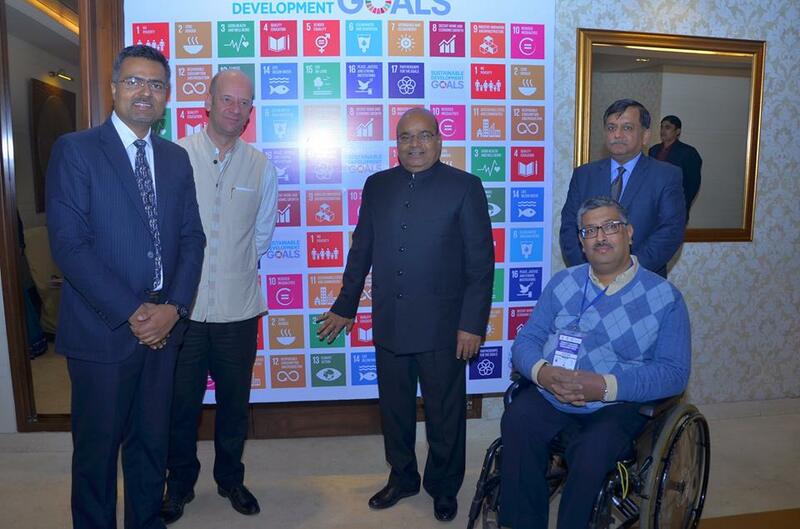 Hon'ble Minister Thawarchand Gehlot, Ministry of Social Justice and Empowerment, Government of India with Yuri Afanasiev, Resident Coordinator, United Nations India Nishant Pandey, Country Director, American India Foundation, Awanish Awasthi, Joint Secretary, Department of Empowerment of Persons with Disabilities & Javed Abidi, Director, NCPEDP. 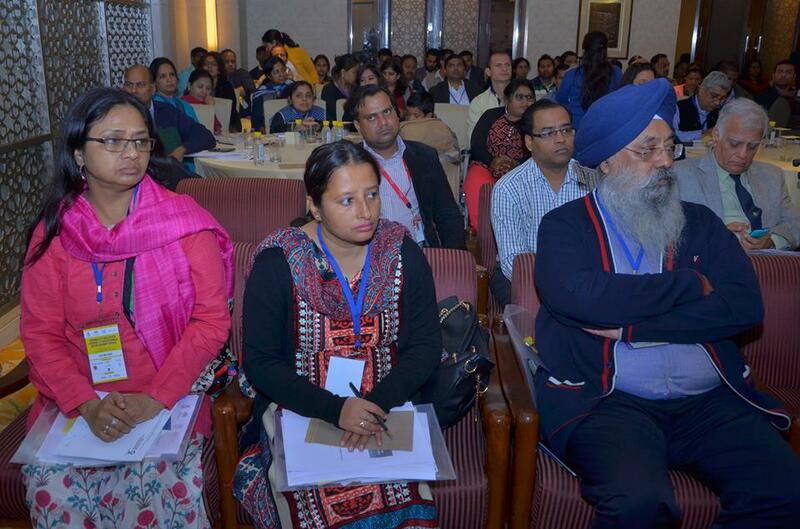 Dignitaries at the inaugural session. 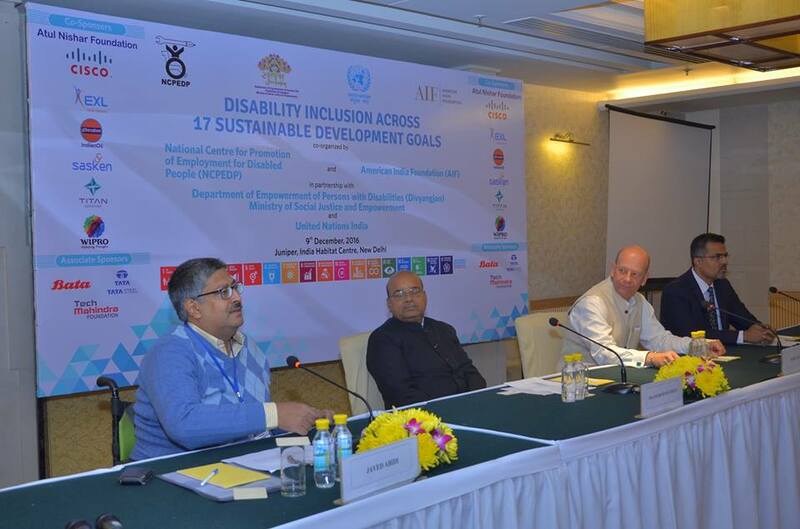 From left to right: Javed Abidi, Honorary Director, NCPEDP, Thawarchand Gehlot, Hon'ble Minister of Social Justice & Empowerment, Yuri Afanasiev, Resident Coordinator, United Nations India, Nishant Pandey, Country Director, American India Foundation. Javed Abidi, Honorary Director gives opening remarks. 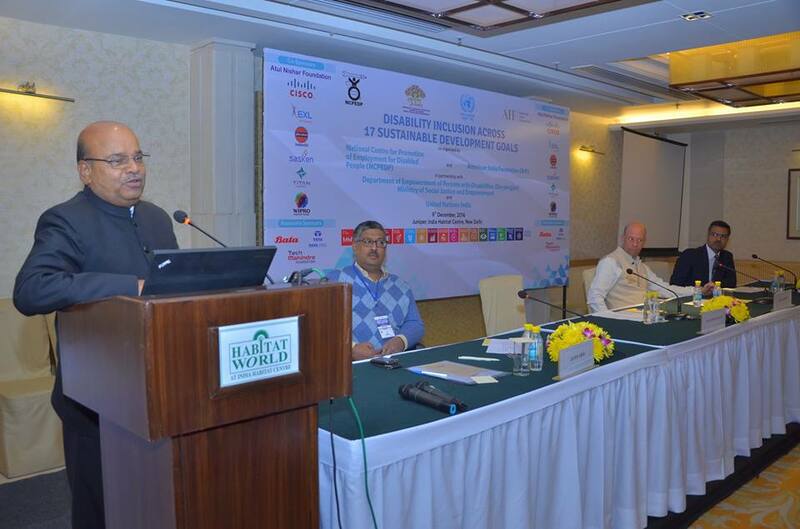 He reiterated that we cannot talk about goals like poverty and health without talking about disability. 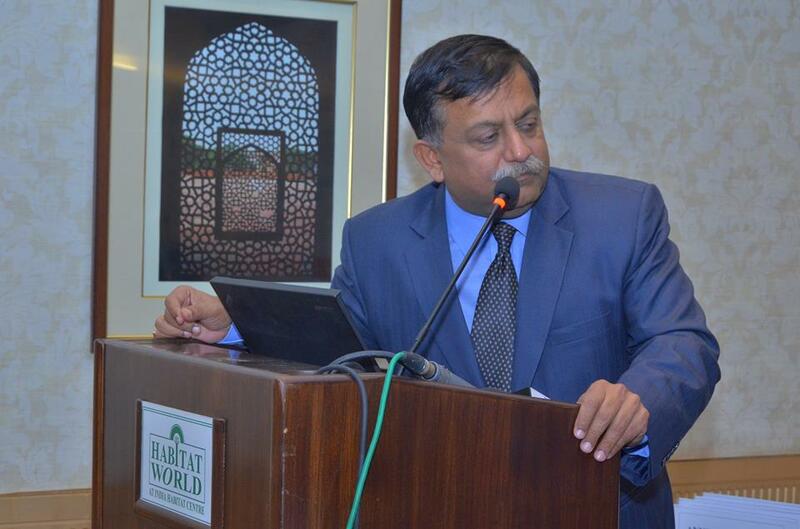 Nishant Pandey, American India Foundation addresses the audience. He feels people with disabilities are equally impacted by poverty,hunger,violence & disaster. 15 out of 17 goals impact ppl with disabilities. 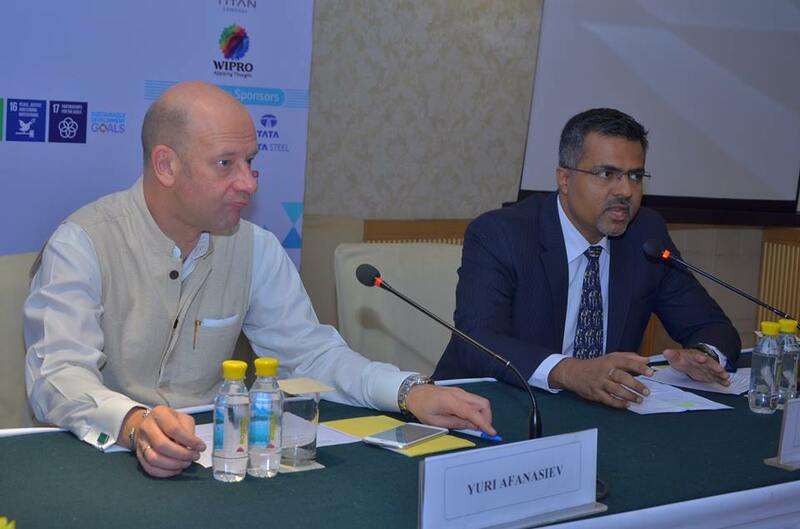 Yuri Afanasiev, Resident Coordinator, United Nations India addressing the audience. He feels the biggest challenge at hand is to change people's mindset and it is not only about money & resources. Hon'ble Minister Thawarchand Gehlot addressing the audience. 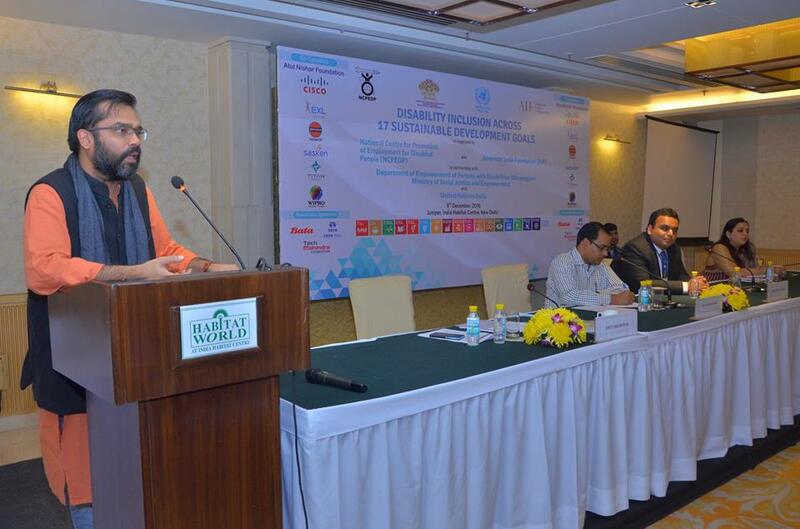 Awanish Awasthi, Joint Secretary, Department of Empowerment of Persons with Disabilities speaks to the audience. Ankit Jindal as part of the panel on "Taking Stock: Where are we after one year?". He feels that it is extremely important to ensure representation of persons with disabilities in the policy making process. 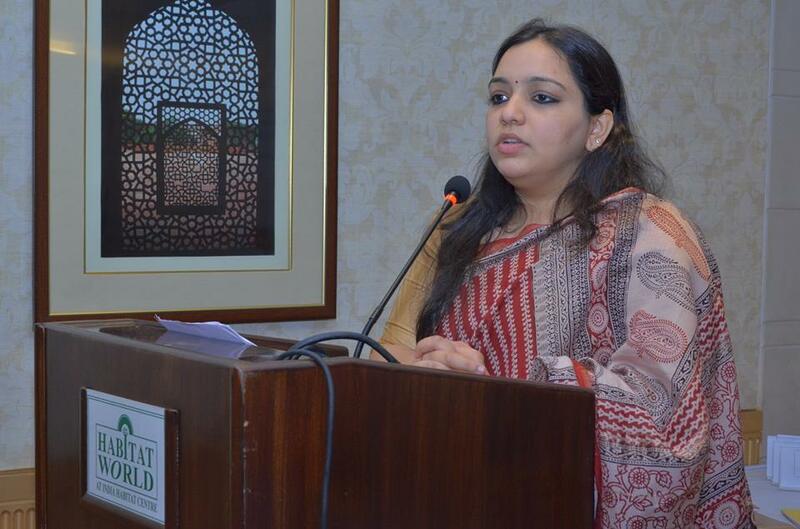 Deepali Kapoor, Pratham speaks to the audience about children with disabilities and inclusive education. 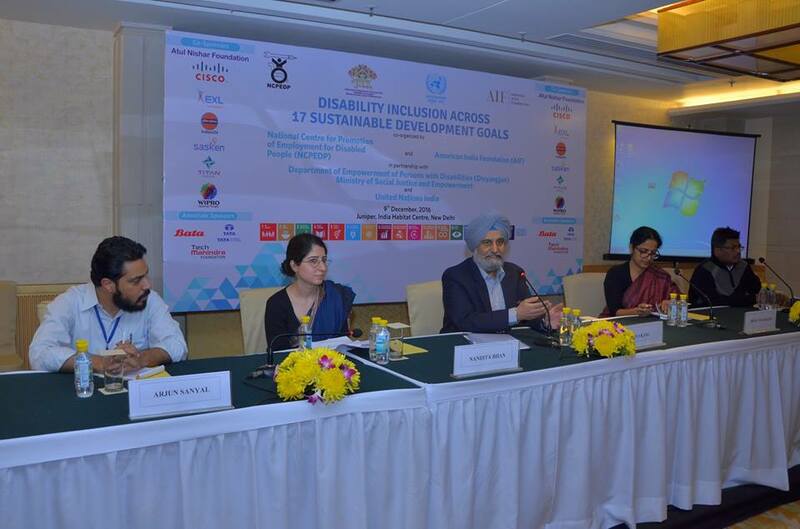 Amitabh Behar, Executive Director of the National Foundation for India talks about the importance of mapping the SDGs in the Indian policy framework and the legal landscape. 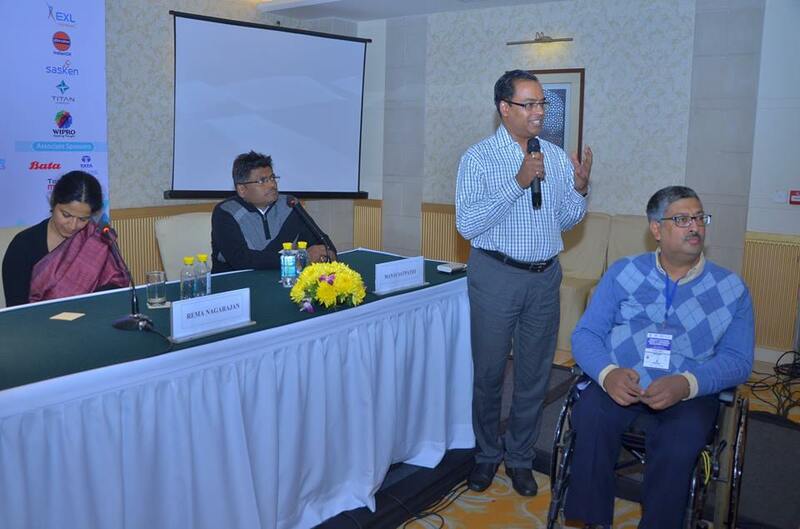 Praveen Kumar as part of the panel on poverty and disability. 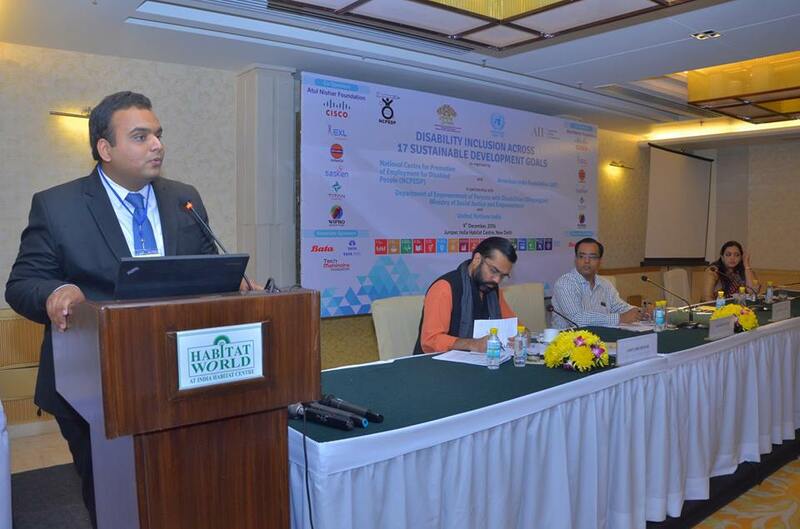 Pravin talked about the need to have disaggregated data in order to implement SDGs. 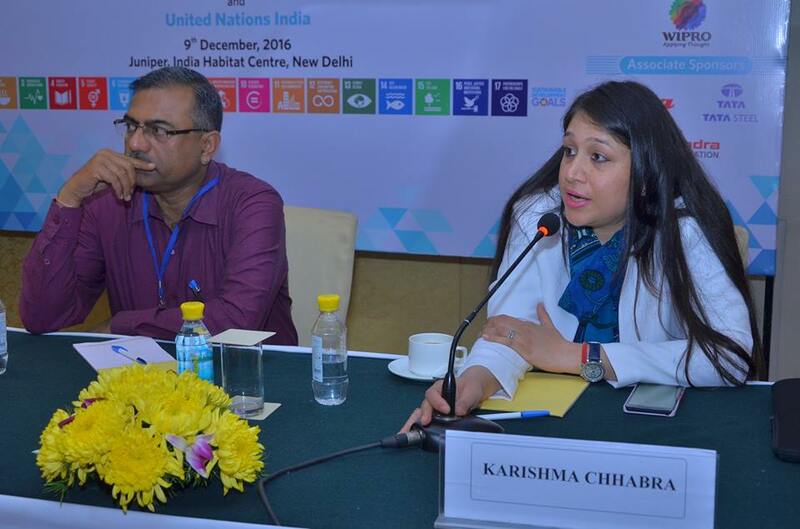 Karishma Chhabra of Microsoft talks about a technology revolution that change lives of people with disabilities. 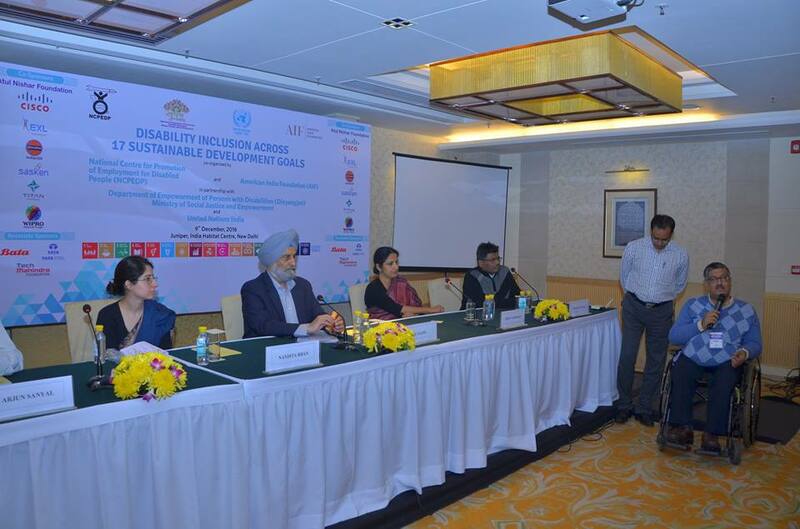 Panel on Inclusion of disability in the national development agenda: The way forward. 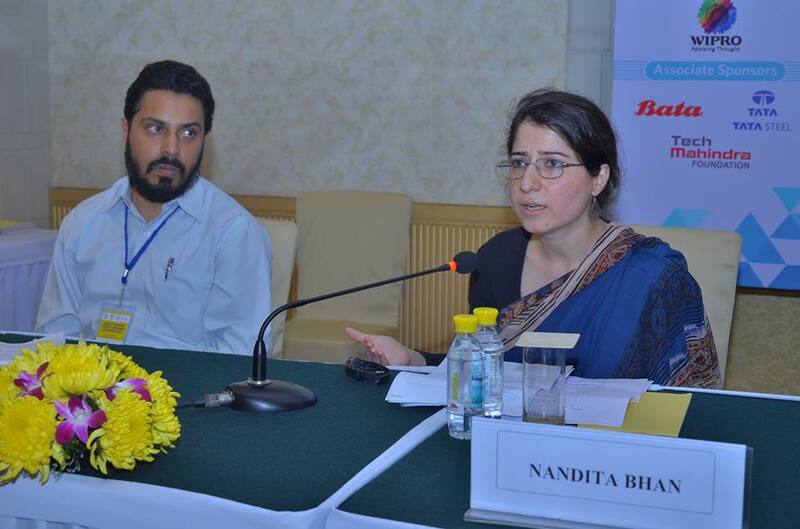 (From left to right) - Arjun Sanyal, American India Foundation, Dr. Nandita Bhan, Public Health Foundation of India, N.S. 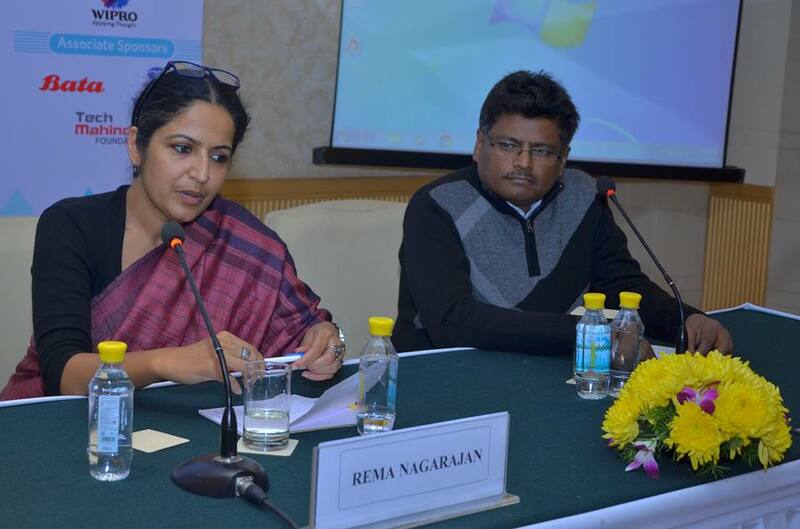 Kang, Secretary, Department of Empowerment of Persons with Disabilities, Rema Nagarajan, Senior Assistant Editor, Times of India, Manas Satpathy, Executive Director, Pradan. 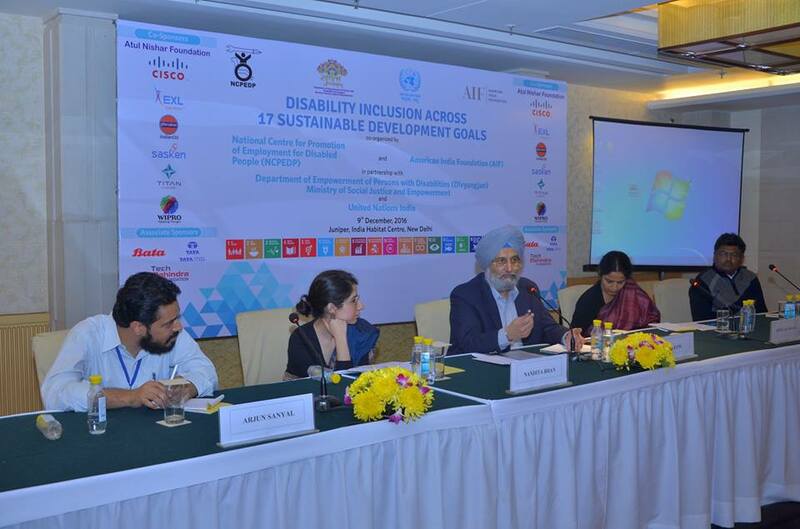 Rema Nagarajan talks about key disability issues that need to be tackled before we formulate strategies for a global agenda. Dr. Nandita Bhan talks about diff between health & healthcare and disability in the context of ageing. 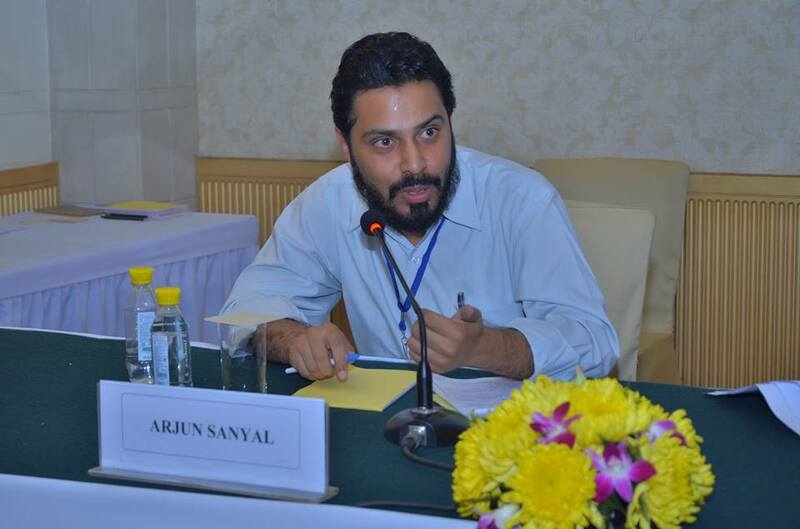 Arjun Sanyal says all content needs to be available & accessible to all children across educational institutes. 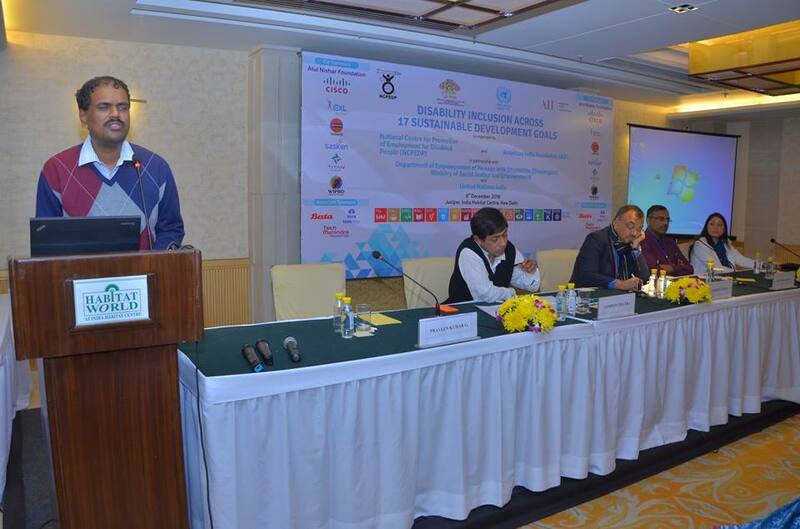 NS Kang, Secretary, Department of Empowerment of Persons with Disabilities closing the session. 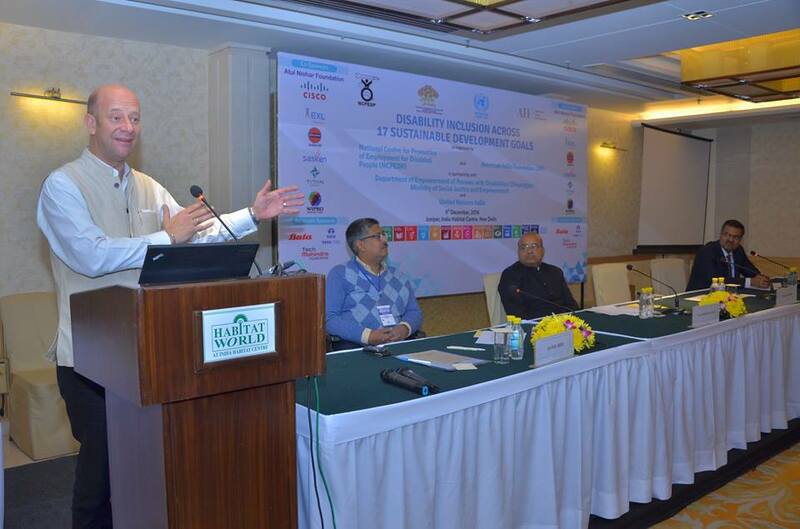 He said that Civil Society, NGOs etc have an equal role to play in implementing SDGs. 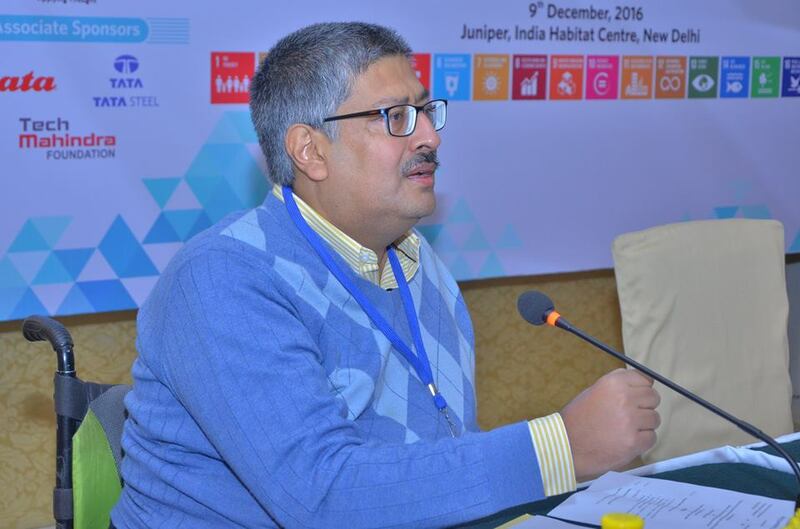 Javed Abidi, Honorary Director, NCPEDP giving closing remarks. Manish Kumar, Programme Manager, AIF giving closing remarks.